The Danish musicologist Knud Jeppesen (1892-1974) is best known as a prominent figure in modern musicology during several decades of the twentieth century. Nevertheless, he was a student of Carl Nielsen who remained a life long inspiration and model to Jeppesen. Jeppesen became a permanent part of the composer’s circle of musical friends and collaborators during the last 15 years of Nielsen’s life - serving as a sort of assistant to Nielsen and being marginally involved in Nielsen’s work on some of his compositions - and he remained in contact with Nielsen’s relatives many years after the composer’s death in 1931. In addition to several weighty and important articles on Carl Nielsen, Jeppesen gave many lectures on Nielsen, he was one of the principal organizers in the establishment in 1935 of the Carl Nielsen Archive at the Royal Library, Copenhagen, and he held the post of president of the Danish Carl Nielsen Society 1966-72. In the process of dealing with the archival heritage of Jeppesen various documents have emerged, including unknown Jeppesen correspondence with the Nielsen family after the composer’s death. 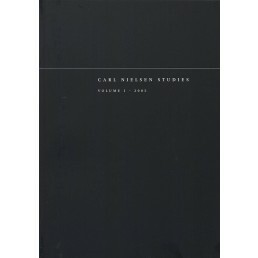 Apart from outlining the Jeppesen-Nielsen correspondence the article adresses some lesser known or even uncharted areas of the Jeppesen-Nielsen-connection, for example Jeppesen’s earliest experiences with Carl Nielsen’s music and his studies with Nielsen. The presentation is rounded off with considerations on the ‘missing’ Jeppesen book on Carl Nielsen, and the overall relationship between the two men, as teachers as well as students.